Recently, the hottest celebrities including Charlize Theron and Kirsten Dunst have lit up the red carpet in yellow frocks. From gowns to day dresses to headphones, designers are offering us options from a little yellow to a lot of yellow so we can join the bandwagon and have a bright sunny day. In love with that yellow handbag! def ready to add some yellow in my wardrobe. So glad to have found your blog! 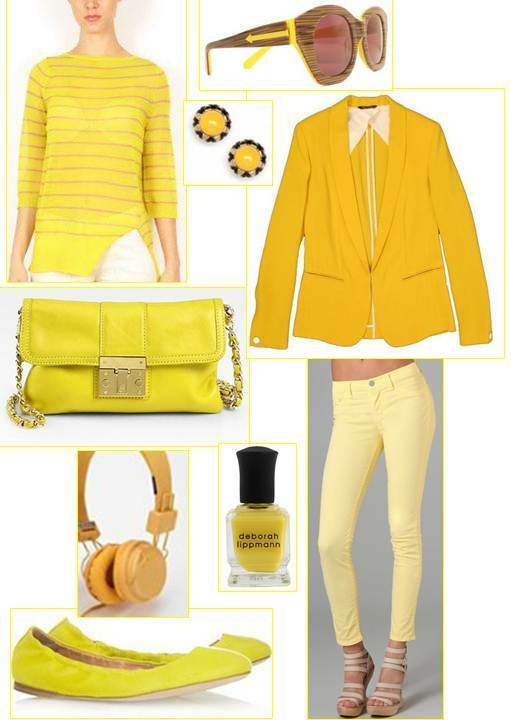 I love all of the yellow especially the yellow jeans! Following your blog now! i adore bright yellows! especially this time of year when it's gray in the winter! like the selection u've made! great! HELLO YELLOW! hahah- i'd want the yellow handbag! Love this post! I'm really getting into wearing more yellow (colors in general...haha) since my wardrobe has a little too much grey/black/white.